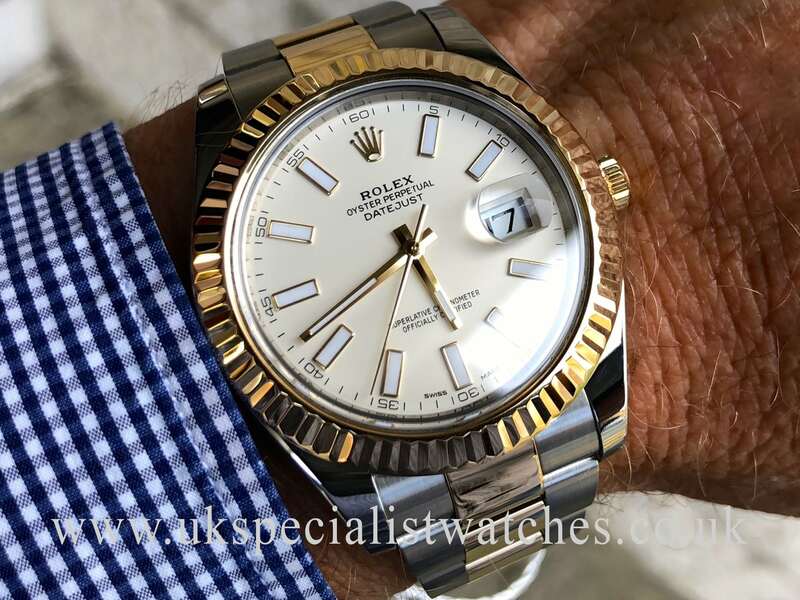 Rolex Datejust 41. Ref – 116333 in 18ct Gold & Stainless Steel. 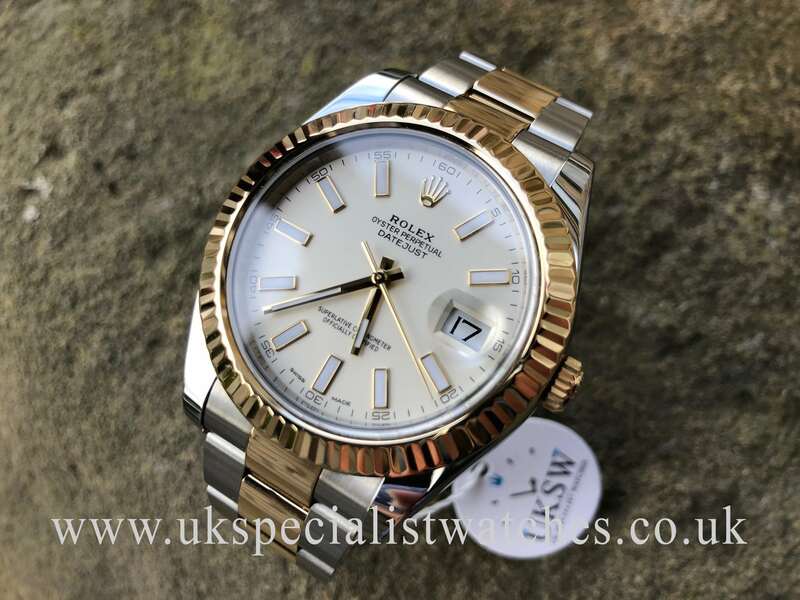 Our pristine example has the larger impressive 41mm stainless steel case, ivory white dial with gold baton hour markers and a solid 18ct gold fluted bezel. 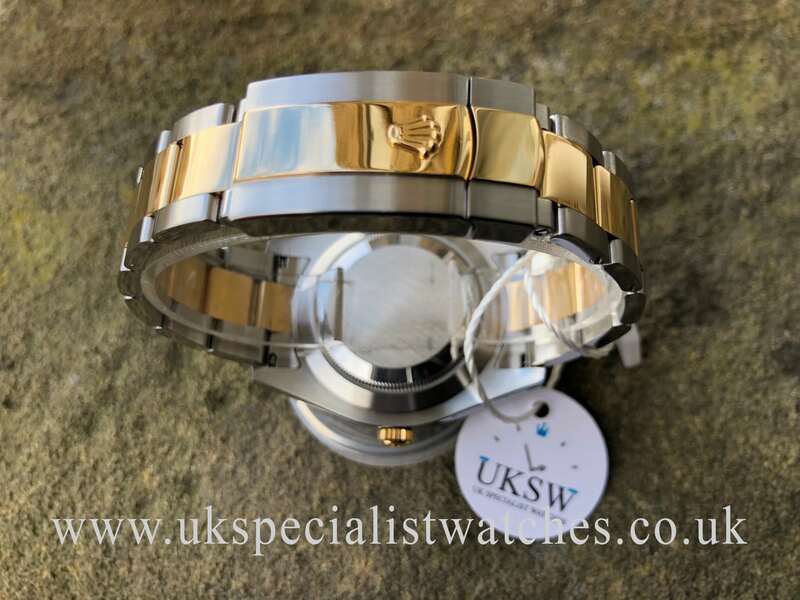 Fitted to the latest model solid 18ct yellow gold and stainless steel oyster bracelet with a double folding clasp. 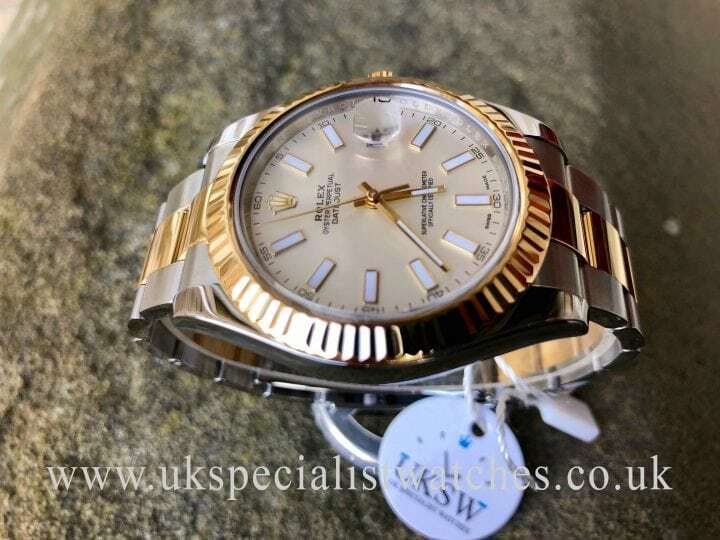 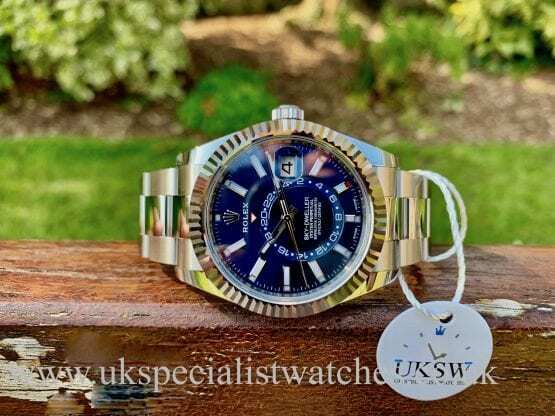 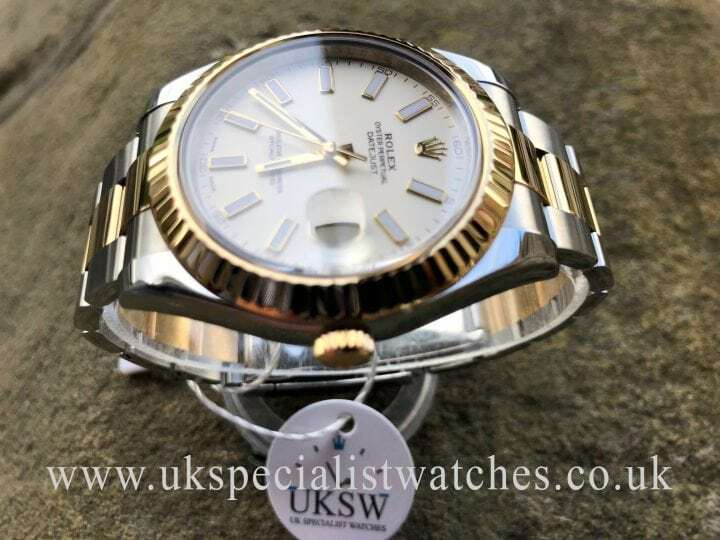 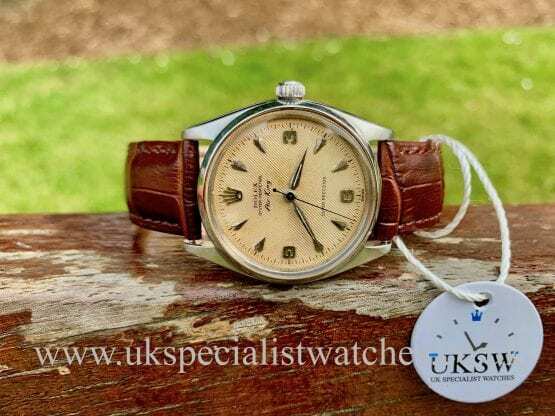 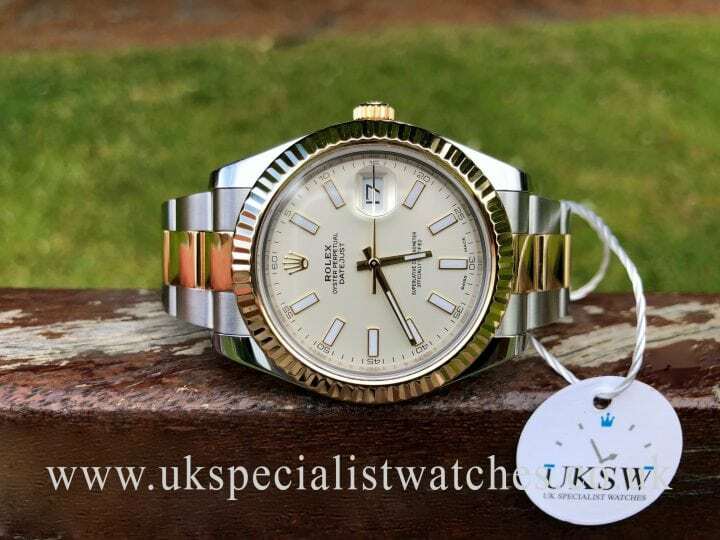 This Datejust II with the larger case has now been discontinued making it also a great investment! 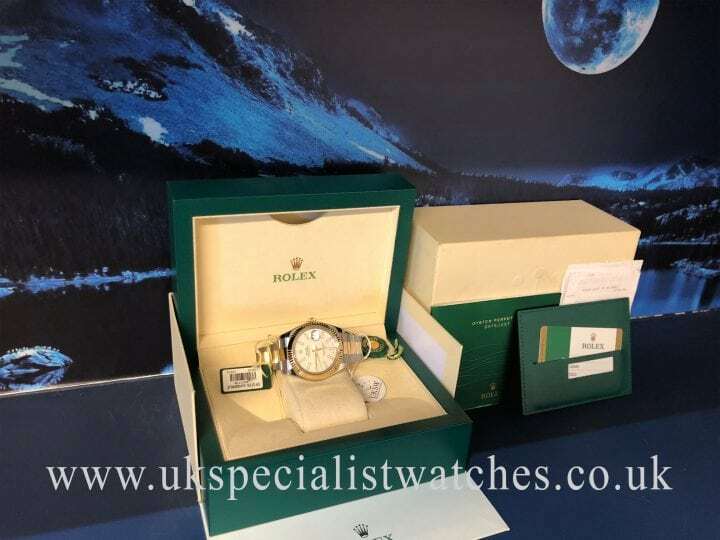 UK supplied new 2016. Comes totally complete with boxes, green leather wallet, stamped warranty card, both swing tags and booklets we also have the original purchase receipt.